Your Local Austin Real Estate Resource! Kathy De La Cruz~ 1st Lady of Real Estate! With over 20 years of real estate experience in the greater Austin and surrounding areas, whether you are looking for your dream home, a waterfront property, or simply looking to invest, my commitment to loyalty, honesty, and respect is a sure recipe for success. Superior service is my goal and I want to help you define and achieve your goals in buying and selling a home. My knowledge and love for the area is an invaluable asset to my clients. Prior to becoming a Realtor, my experience in the Financial Industry included Management, Vice President, Business Loan Officer, and Personal Financial Investment Officer. Achievements: I have been fortunate enough to receive top mentions and awards from RE/MAX that include: RE/MAX Chairman Award, RE/MAX Hall of Fame Award, RE/MAX Top 500 Elite Group, RE/MAX Platinum Award & the RE/MAX top 20 Agent Award. 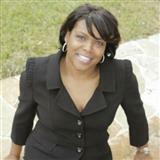 I am also included on the top 100 Real Estate Agents in Austin. Specialities: I completed energy, environmental, & marketing training to become a certified EcoBroker & have committed myself to living "green". I am also a certified Affordable Housing Specialist, CRS, & a member of the Women's Council, Austin Chamber of Commerce, Hispanic Chamber, African-American Chamber, as well as belong to various networking groups. Volunteer Work: I participate in building partnerships with the local school districts, Children's Miracle Network, Susan B. Komen for the Cure, Caritias Food Bank, & Light the Night Leukemia. As is often said, real estate is about location, location, location. 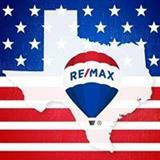 I have extensive knowledge of the Austin, TX area and can help you find the right home for you or the right buyer for your home	!